What makes the scanning process fast and sets BookDrive apart from the competition is our software. Every BookDrive comes with BookDrive Capture and BookDrive Editor Pro software. It's pretty much all you need. BookDrive Capture is the application that controls the cameras. It supports a wide range of Canon EOS SLR cameras and allows you to change camera settings from directly within the software. 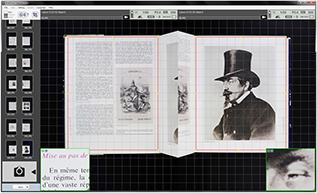 The cameras capture both left and right pages at the same time. Each shot takes less than a second to photograph. This allows you to capture up to 800 pages an hour. BookDrive supports the RAW format or the uncompressed, unprocessed pixel information straight from the camera's image sensor. A full RAW workflow lets you capture, post-process and convert RAW files to other lossless formats such as TIFF. You can easily change camera settings such as shutter speed, aperture and ISO values within the software. You can easily insert missing pages which have been skipped or if some shots look bad, you can replace them with new ones. No need to worry about file names because the software will name the inserted files and rename all the effected files correctly. The timed lapse capture is available so that the cameras can be triggered to shoot automatically at every pre-defined intervals of 1-10 seconds. Users simply flick through the pages. The metadata of the books such as title, author's name and year published can be recorded in a standard compliant XML file for future use in search and record keeping. BookDrive Editor Pro is for post-scan image processing. It's all you need to convert scanned images into final output of the highest quality, ready for distribution or archiving. The robust image enhancement tools and the intuitive user interface come together to deliver professional results with minimal fuss. You only need to make settings for the first pair of images. The program will apply those settings to the remaining pairs automatically for unattended, hassle-free fast batch operation. Load as many books and as many chapters each of which having its own profile as you want, hit Run, and then leave. Come back and you will see the job completed. All the enhancements that you made to a book can be saved as a profile. Each book type can be a profile. When you face with the same kind of book, simply evoke the profile instead of having to go through the configurations. 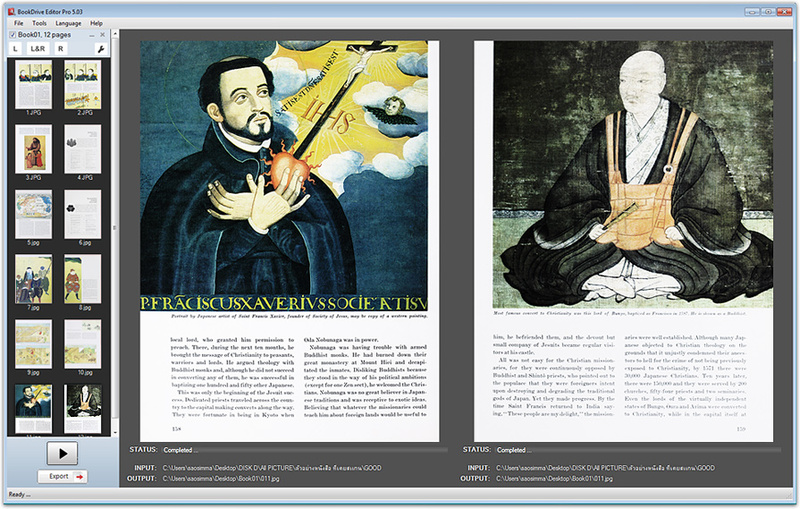 The program comes with default profiles for frequently seen book types such as textbooks, magazines and old books. The experienced user or the manager can also benefit from this by creating and saving custom profiles for use by junior operators. What enhancements you think of? BookDrive Editor Pro probably has them. Comes included are features such as rotation, de-skewing, crop, auto level, brightness and contrast adjustment, sharpening, black border removal, image resize and DPI adjustment, etc. Available output formats include PDF or PDF/A (single-page or multi-page files), TIFF (LZW and CCITT Group 4, single-page or multi-page file), and JPEG. Global Crop lets you crop the same size and same position on every pair. Dynamic Crop lets you crop the same size, but slightly varying position based on the page edge (if the book slightly shifts during scanning) or where text is (if you want your output to have text appear at the same position in every page). And you can add artificial border (padding) on the page as well to make output looks neat or so that text appears at the center of the page exactly. Some projects require output as Black and White (B&W) images. BookDrive Editor Pro has got some really advanced B&W conversion called Adaptive Local Thresholding technique that intelligently converts each pixel to black or white according to the information of that pixel relative to the surrounding area. This ensures you will get superior B&W output compared to the standard ones. What do you do with unwanted yellow tint commonly found in old books? 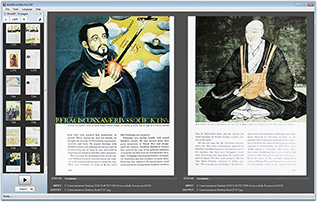 BookDrive Editor Pro can replace that with bright and clear background free from speckles and stains, effectively preserving old, faded prints and priceless historical works such as scrolls and century-old books. Color and highlights in the page can be preserved while giving new life to grey and drab pages. Export to your heart's desire. The new and improved export tool lets you easily output files either as single-page, or multi-page TIFF, PDF or even ISO 19005-1 compliant PDF/A document, a format well-suited to long-term archiving and preservation. No activation is need to begin using the software. You can easily move between computers without going through complicated software activation process. Install the software on as many computers as you need, the included USB dongle will unlock the software automatically for you.